Recently, Apple and IBM have advanced their partnership by combining the IBM Watson machine with Apple Core ML, making its business app much better to run on iOS devices. Apple and IBM started collaborating around a few years ago, each sharing its expertise in the field of developing and improving ways of using computer electronics in their companies. Just recently both companies have decided to take a step further in their partnership by combining IBM’s Watson machine with Apple’s Core ML, the purpose behind combining the two is to make the business apps run better on Apple devices. This format is set-up to work by a customer building a machine learning model using IBM’s Watson machine, the Watson machine would then train the model to recognize all the Watson image recognition capabilities. Once this is done, the model is then converted into Core ML, and included in the user’s custom app. At this time, Coca-Cola is currently testing this new project, the report states that Coca-Cola would like to see whether or not this new system can be used to help field technicians inspect and service vending machines. 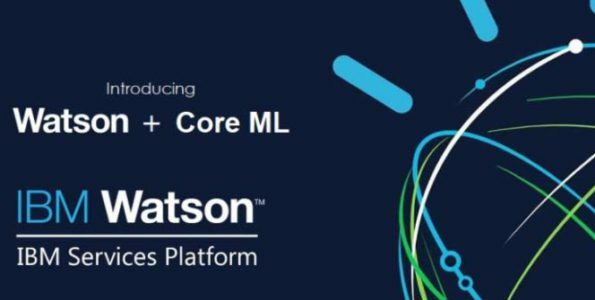 The power of this new development is that the mobile app can do the recognition itself, without the need to send data back to the server, the Watson machine does the hard initial work by figuring out how to recognize the machines, next it converts to Core ML to create a custom app. IBM also has a cloud console which simplifies the connection between the Watson machine building process inserting the model into the app running on the Apple device.